A week without a Wednesday feels a little strange, but I’m sure that you and your family have enjoyed the relatively gentle start to the school year. The weather on Waitangi Day was beautiful, so I hope that you joined the throngs at the beach and managed a swim in the warm waters. I drove down to spend a couple of hours at the Year 6 Camp just north of Huntly: the children were hot and a little tired, but happy and working really well together. It’s always good to see children in a different context, watching them take on different leadership roles and build their confidence together as a group. They’re back later today, and I imagine they will sleep well. As will the Year 5 students, I’m sure, as they come back from their camp at Carey Park. It’s a good chance here to say a huge thank you to the teachers and parents who have given up their time to support the students this week, throwing themselves into activities, forgoing sleep, and just generally supporting children away from home. Thank you for your work and for making these weeks possible. Thank you too to the teachers and the parents at the Year 9-13 Swimming Sports yesterday. Everything went very well, there were some great times, and more happy and tired young people made it back in time to our Senior College Student Leaders and Scholars Induction Assembly. We had a great time celebrating last year’s academic achievements of many of our older students, and welcomed this year’s Student Leaders and Prefects. We have organised things a little differently this year, naming more School Leadership positions than before, but creating a smaller group of Prefects, all taken from the Leadership Group. I’m excited by what our senior students will achieve this year, and know that Aimee Erskine, Devon Alexander, Arden Callagher and Felix Glover-Clark will lead them with imagination and verve! 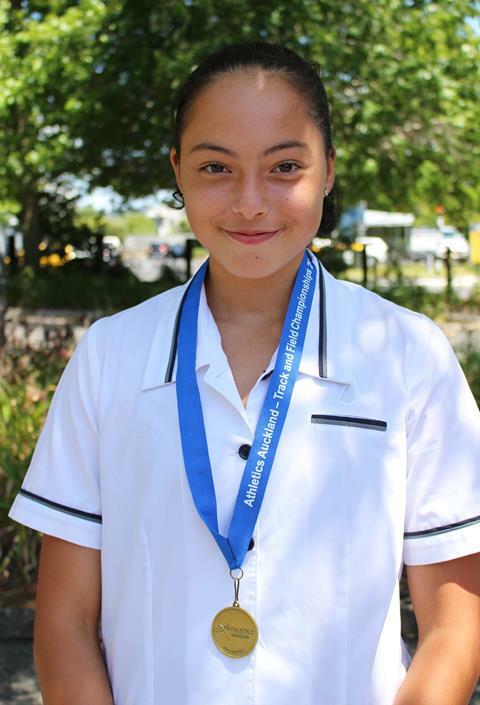 Sticking with the older students, we received our New Zealand Scholarship results this week. 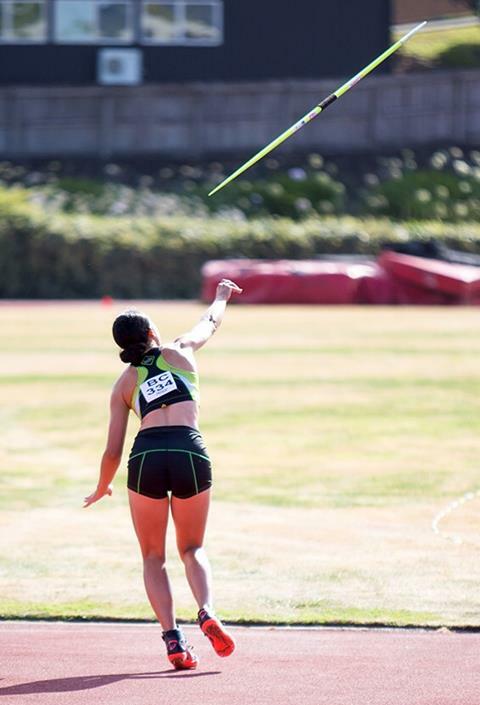 These are exams run by the NZQA, and are taken by the most academically talented students in New Zealand. They are exams based on the NCEA curriculum, but they are not NCEA exams, and are available for students taking any curriculum pathway. Last year we dipped our toes in the water for the first time for many years and entered a small number of students in a limited range of subjects, and I am delighted that our students achieved five Scholarships, two of which were at Outstanding level: three in Calculus, one in Physics and one in English. As nearly all the students who took the exams were Year 12 students, I am delighted by this start, and know that we will build on this in 2019 as we offer more subjects, and more students take part: watch this space! Particular congratulations to Logan Cho, who achieved an Outstanding Scholarship in Calculus, and Scholarships in both Physics and English. And well done to the other Year 12 students who gave it a go and came very close: I’m expecting them to take part again this year. 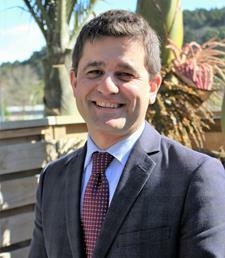 If you have any questions about Scholarships, please contact Mr Chris Stafford, who has this year begun his role as our Extension and Scholarship Co-ordinator. Finally: a huge well done to the whole student body. It has been a pleasure to see how quickly they have settled down, and how quickly our new students have become an integral part of our community. We do, though, know, that the process of transition is often bumpy, so please do contact your child’s class teacher, Homeroom teacher or POD teacher if you have any concerns at all. The earlier we hear about any kind of uncertainty or unhappiness, the quicker we can make things better. 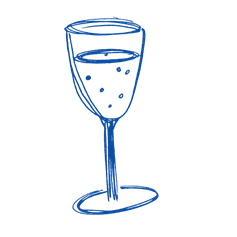 I hope to see many of you next week for the new parents’ Wine and Cheese Evening and the Year 7/8 and Year 9 Information Evenings (and for the Year 4-6 Evening a week later). It was good to see such large turnouts this week for the Year 1-3 Evening and the Year 10-13 Schoolbox Information Evening, so thank you for continuing to support our work so enthusiastically. The 2019 academic year has started very calmly in the College. 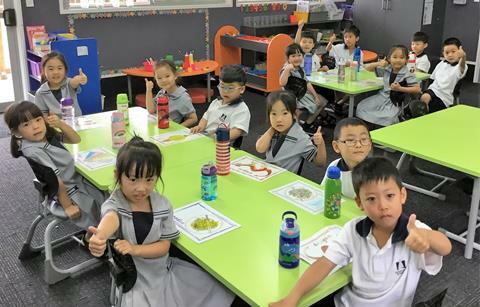 Despite the heat, students have settled quickly into good routines and there is a very positive atmosphere around the school, with both students and teachers working hard. We have nearly 100 students who are new to Pinehurst in the college. We are also transitioning students between year groups with significant changes in-particular for Year 7 and Year 9 students. We know that change can be daunting and as such we aim to support our students as well as we can through a buddy system and caring and supportive teachers. If you are worried about your child and how they are settling into the college, please do not hesitate to contact their Homeroom or POD teacher. Yesterday we hosted our Scholars and Student Leaders Induction Assembly. We were lucky to be joined by many parents, grandparents, siblings, and friends of our senior students. This is always a great occasion and we thank all of those that could be involved. 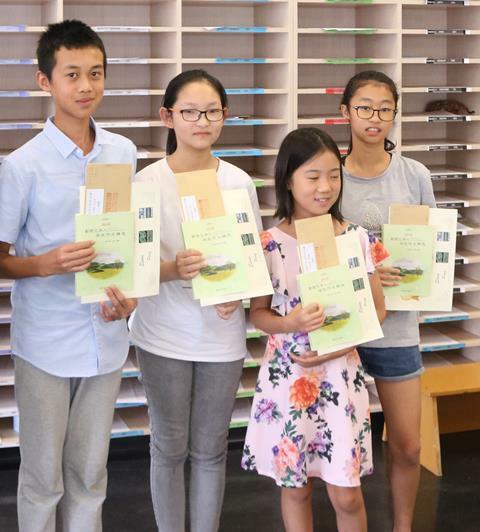 The students who were acknowledged have worked hard and contributed significantly to Pinehurst School during their time here. We look forward to the impact that they will have on our community in 2019. The college will be ably led by Head Boy Devon Alexander and Head Girl Aimee Erskine this year. We presented 44 senior students with their leadership badges and we know that they are excited about doing their best to make the college the best it can be for all students. It is important as a community that we start the year in the manner with which we wish to continue to bring about the best possible results for all students. As a school we have high expectations in all areas. One important area that is often overlooked, and perhaps undervalued, is our uniform standards and expectations. It is important that we maintain the high standards that are clearly outlined on the school website. Staff will be regularly holding students to account if they are not getting in right. It is important that parents support us to maintain our standards. It is also important that parents feel we are supporting them and so if you have any concerns about student uniform or appearance then please do get in contact with us. You will be receiving communication from teachers regarding your child’s academic programme. Over the next few weeks we are also hosting several parent information evenings. If you have any concerns or queries regarding your child’s progress, then please attend these meetings to gather all the information that you can. Our annual Year 9-13 Inter House Swimming competition was held at the Owen Glenn Pools yesterday. We had a huge turnout with nearly half of the senior college students choosing to swim. While some were there to gain a point for their respective house, others were there to enjoy some serious competition. Congratulations to all our swimmers who competed on the day. Andrew Qin, also deserves a special mention as he managed to break three school records, one of which had been held since 2005! A huge thank you to those staff, parents and caregivers who supported this event, we couldn’t run these events without you! The Year 9 PE programme has been a real highlight of the term so far. 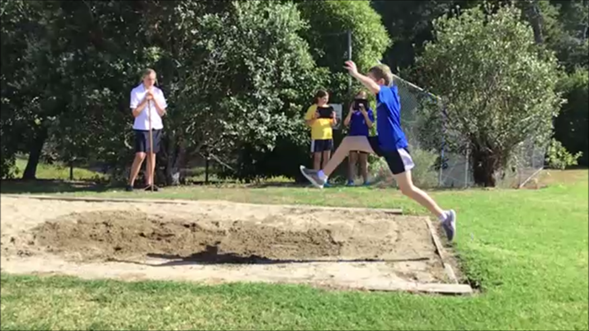 In preparation for the athletics day in Week 5, students have been utilising the new PE department iPads to analyse and refine their technique using performance analysis software. It was great to see how engaged our students were with this technology! The prize-giving ceremony was held at Westlake Boys High School last Sunday. 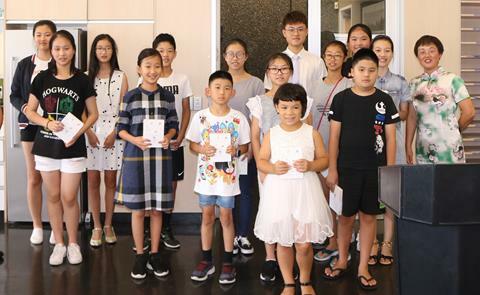 Congratulations again to these 13 students for writing beautiful Chinese essay and winning awards! The college is offering dance sport mentoring for Year 7-13 students on Tuesday lunchtimes in the Arena. Our very own champion, Ryan Hughes and Gabriella Beecroft will be running these sessions. If you wish to learn how to dance the most common ballroom dance forms of fox trot, cha cha, samba and tango, please click here to register: https://goo.gl/forms/O4Y2Hm4W7YwSPpu32. Week 2 has flown by, everyone has settled into their new classes and are learning to work together. A new year is a new opportunity to grow, practice social skills and make new friends. One of the reasons we take our students out on camps at the beginning of the year is to bring the year group together as a team as well as provide opportunities to get to know staff and classmates. After visits to both the Year 5 and Year 6 camps this week, it was very clear that each group had bonded and were working well as a team. Everyone was tired, happy and spoke of times they had been pushed out of their comfort zones and how good it was to achieve a goal, learn to kayak or acquire a new skill like washing the dishes! Although Year 5 Camp was slightly shorter than intended we were amazed by the positive attitudes and especially the kindness our students showed each other. The camp staff also commented on how polite and well-mannered they were. 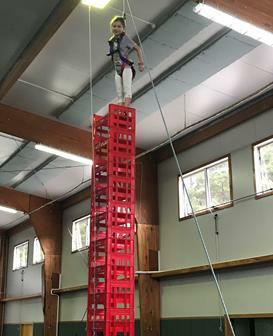 We spent some time at a crate stacking activity which required good balance, patience and lots of perseverance in order to stack the crates and be able to touch the ceiling. 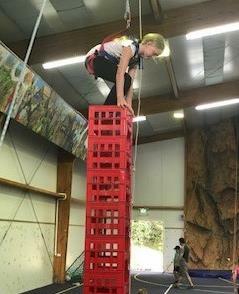 Several students got all the way to the top, but it was no easy task! 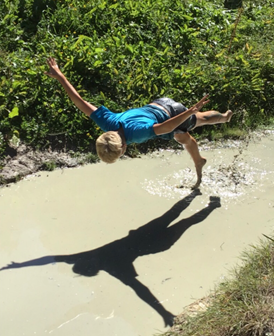 The Year 6 campers clearly had an amazing time too, telling us tales of their ‘survivor night’ cooking skills and conquering the infamous mud run. 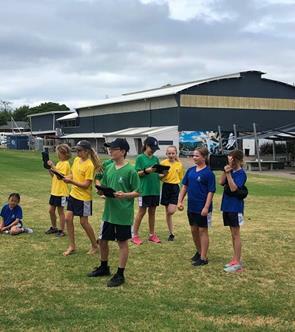 Camps give the opportunity to display leadership skills and it was lovely to hear our Year 6 students talking about how impressed they had been by some of their peers and their abilities to lead their groups. Whilst some honed their ‘flossing’ skills on the dance floor others volunteered to help in the kitchen or feed the animals and I’m sure when they arrive back today they will be tired, happy to be home and better for the experience. A huge thanks to our parents for giving up their time to help us run the camps and for looking after other people’s children, ensuring that they have a safe and happy time. It was lovely to see so many Year 0-3 parents at our information evening on Tuesday night, we hope that you found the event useful and have a clearer idea of the organisation and needs of your child in their current year group. We will hold a similar evening for Year 4-6 parents on Tuesday 19 February, details will be on Seesaw. 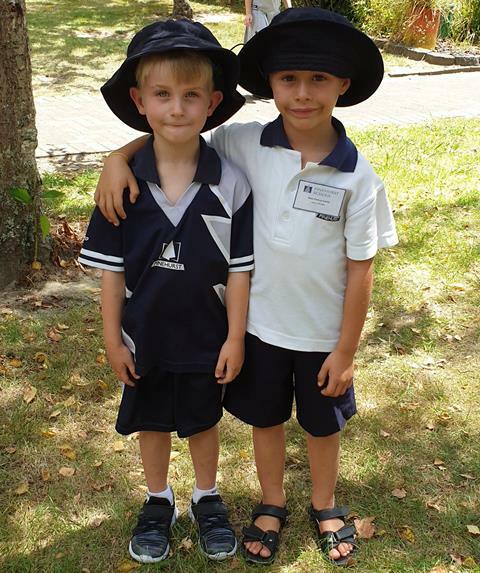 On Friday 1st February our Year 3 Buddies met their New Entrant Buddy for the first time. Our very proud and responsible Year 3's walked down to the classrooms to have lunch with their New Entrant Buddy. Each carried a small gift for them to help them feel welcomed and settled in their first week of school. They ate lunch together and it was so nice to watch some of the older children helping the little ones open yoghurts, carry lunch boxes and pack up rubbish. When the eating was over, most of the buddies stayed together and played for a while. 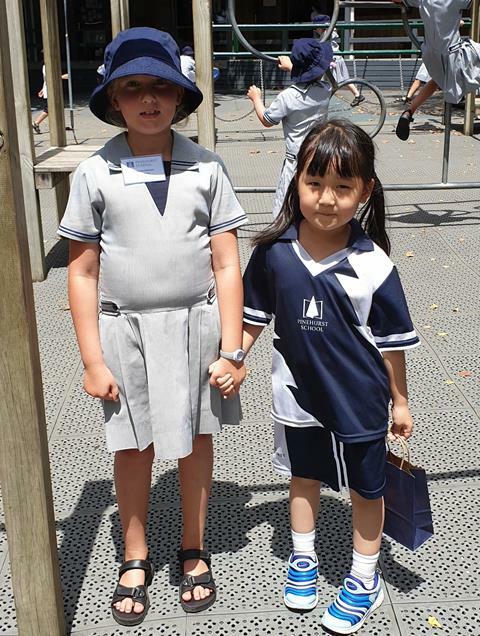 Suki Wu and Jessica Chen playing Hide and Seek, Alex Garcia-Curtis and Alex Fitzgerald exploring the playground together, Makenzie Atkinson and Eva Sun walking hand-in-hand, chatting – it was great capturing these moments. Not only are the children ‘buddied’ up, but the respective families too! Our Year 3 Parent Buddies were also tasked to touch base with the new parents and introduce themselves to welcome them to Pinehurst. We aim to foster these buddy relationships through the years so that our Pinehurst families have a strong social network at Pinehurst. P2 have had a very busy start to the school year. They have all settled into Pinehurst with a positive attitude to learning and, most importantly, big smiles on their faces! In Social Studies, P2 are learning all about Communities, starting with our classroom community. They have been learning how to greet each other in the mornings and afternoons. All of the children are learning how to be polite and kind to each other. They will also be learning these greetings in Spanish and Mandarin. The children have been learning how to put numbers to 10 in the correct order. 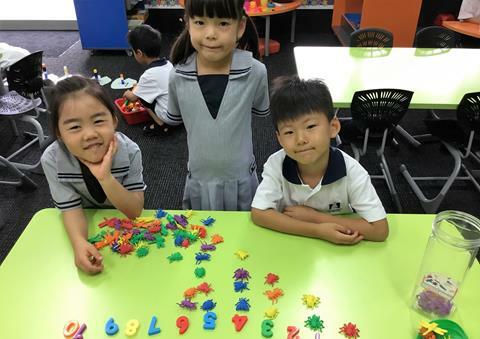 They have been participating in lots of different practical activities to practice this skill, learning to say the numbers correctly. Many of the children are already moving onto the next step of working with larger numbers up to 20. In celebration of the Chinese New Year, the children made a place-mat with a picture which reminds them of this special time of year. They will use these every day to eat their lunch off, helping them to keep their classroom nice and clean. Well done P2! 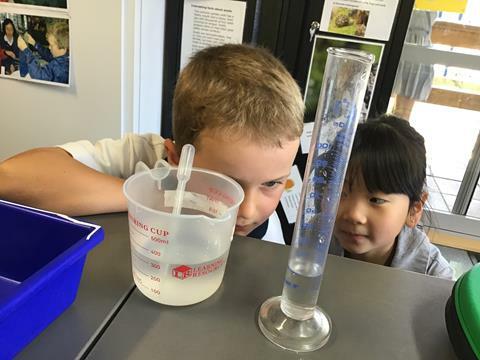 In years 3-6 Science has started with all students becoming familiar with the equipment they'll be using during their investigations. It is important for scientists to collect accurate and precise data as information to backup or quantify their evidence. Scientists use a standardised system of measurement so that other scientists can replicate each other’s experiments. 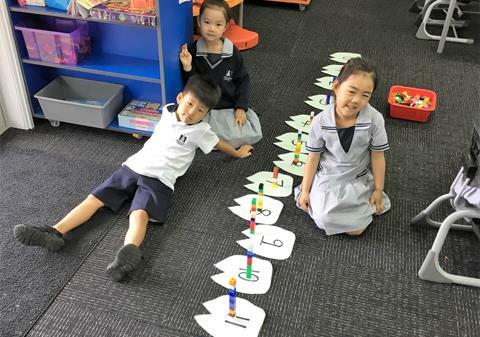 During our introduction to measurement, children have learnt to identify equipment and practice reading scales. They played bingo to help identify the names of apparatus and then proceeded to measure time, temperature, length, force, mass and volume. We look forward to using the equipment during our investigations further into the term and will then focus on recording our results in a systematic way. 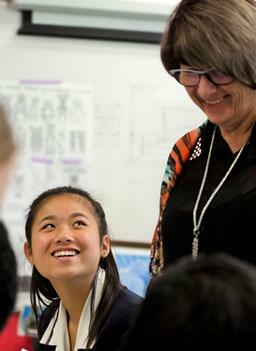 P12 students have begun the year with enthusiasm and eagerness. 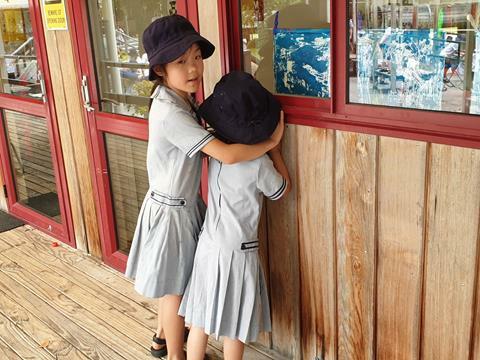 They are all keen to learn and have begun to make new friends. We have been watching some Chinese New Year dragon dances and talking about the year of the pig during Chinese New Year celebrations. We have also been learning all about Waitangi Day. The students have completed a Mihimihi, which is a Maori formal greeting, which involves people introducing themselves and telling us a bit about where they come from. They have also learnt some of the history of the Treaty of Waitangi, where it was signed and by who. I Spy....fun in the playground at lunchtimes! 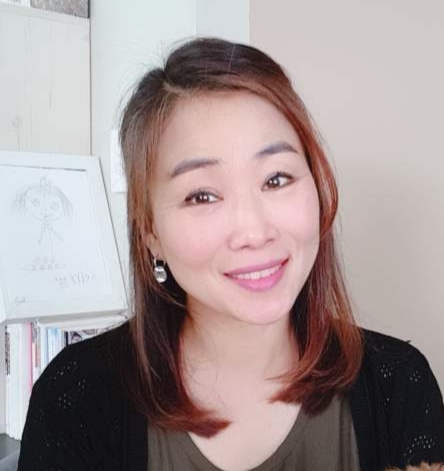 The Pinehurst Music department is excited to welcome back Jae Kyung (Kelly ) Choi. Kelly was part of our itinerant team 10 years ago and after extensive travel and charity work she has recently returned to New Zealand. Kelly will be running a Clarinet Ensemble group on Monday lunchtimes starting in week 4 (Monday, 18th of February) in JC-D (behind JC10). Over the past 25 years she has amassed performance experiences on both the Piano (Jazz) and the Clarinet (Classical), worked with numerous groups of students in band settings and taught as an itinerant tutor across several Auckland schools. Kelly is also very passionate about her Missionary work. If you wish to enrol your child into the Clarinet Ensemble, please complete the form at the bottom of this page. Spaces are still available for Thursday 14th March. Registration is available to Year 6 students ONLY. 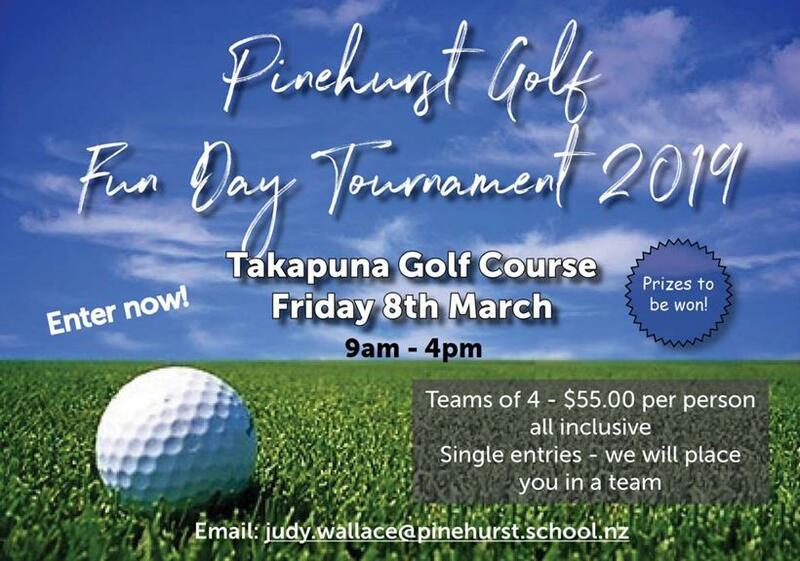 Please email jacqui.herbert@pinehurst.school.nz if you are interested in attending. Linda Gair's final assembly is on Thursday 28th February. Any parents who had a special rapport are invited to come along and say farewell. Senior students are also invited to attend. Guests to be seated by 2.20pm in the Arena. Following the assembly there will be refreshments in the staffroom and an opportunity to personally say goodbye. 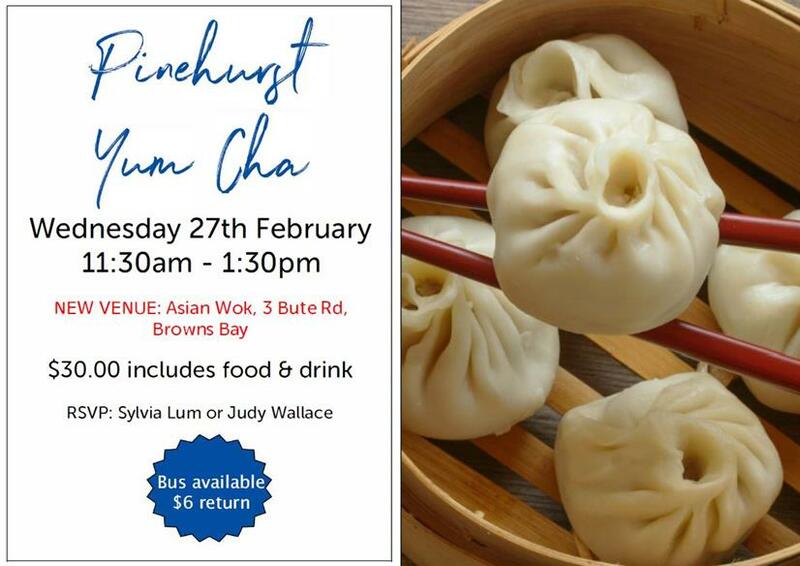 Please RSVP to nicole.webb@pinehurst.school.nz by 15th February. It is a pleasure to invite you as a new parent to attend a wine and cheese evening. This is a parent only event which gives you an opportunity to mix and mingle with other new parents across all levels of the school. 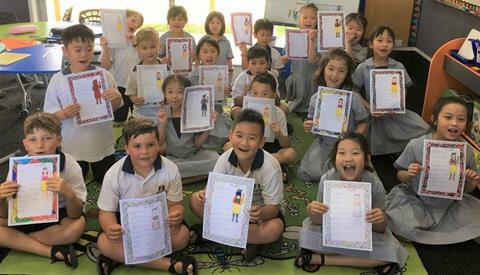 Please RSVP your acceptance with names of attendees to judy.wallace@pinehurst.school.nz by Monday 11 February, 2019. 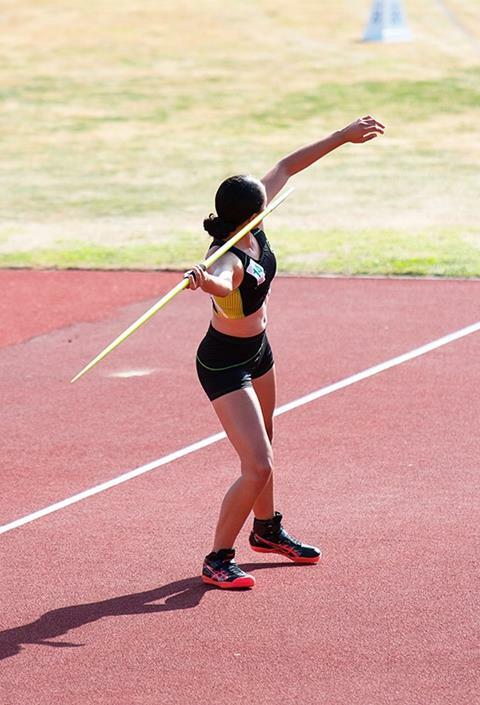 Year 10 Student, Brianna Tirado recently placed first in the U16 Women's Javelin at Athletics Auckland Track and Field Championships. Congratulations Brianna! 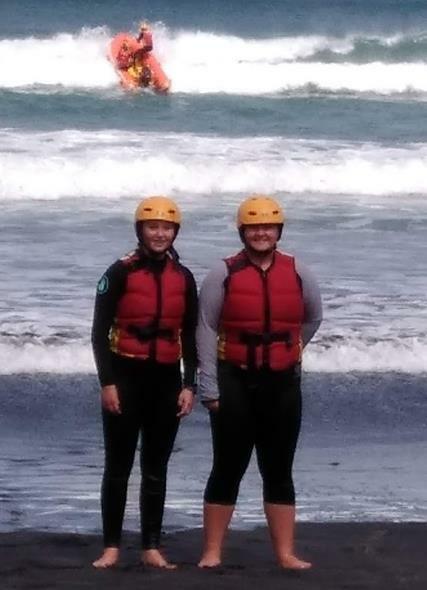 Last week Cenedra and Paige earned their VHF radio certificate which will enable them to operate the radio at surf. On Sunday they sat their Inflatable Rescue Boat (IRB) Crewman’s exam for Life-Saving. They participated in setting up the boat followed by the practical component in the water where they had to demonstrate their understanding of the workings of an IRB. From there they were required to rescue someone. The day finished with a written exam where both girls passed with flying colours. They are now qualified as IRB Crewman and hope to go on to qualify as a driver. This publication includes private and confidential information, please do not distribute to any external parties.